If you are reading this article, then you probably have a garden in your backyard, right? That’s great because when you are living in an urban center, surrounded by concrete, a green garden is no less than a blessing for your mental and physical health. Spending some time in your garden after a busy workday surrounded by plants, away from the hustle and bustle of life surely refreshes your body and soul. 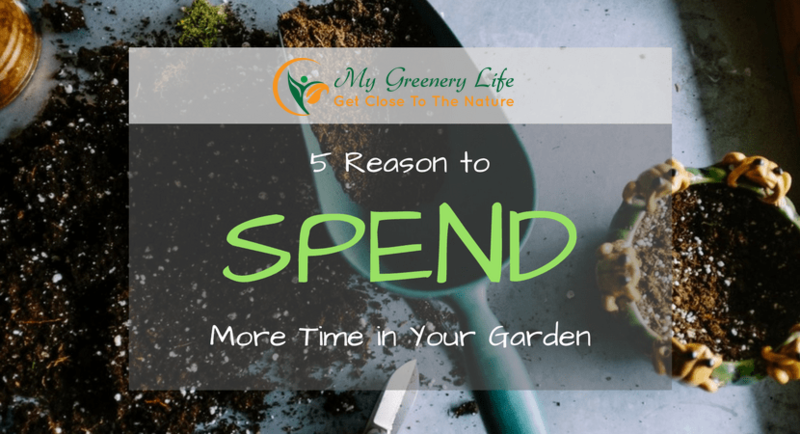 There are plenty of reasons to spend more time in your garden, but we have listed the five most important that can convince you to head there right after reading this article. Stress, depression, and anxiety are considered to be common causes of cardiovascular diseases like heart problems and blood pressure. But you don’t always need antidepressants to relieve stress. There is a better solution – your garden. As we stated earlier, spending more time in relaxing and greener surroundings can have a pleasant effect on your psychological health. Being around nature is a calming experience for most of us. Here are a few scientific reasons why spending time in your garden is good for you. Spending time under the sun can help you get vitamin D. This is an essential vitamin to not only elevate your mood, but also promote dental and bone health and relax your vessels. Being more exposed to sunlight and open air normalizes a healthy sleep schedule that in turn relieves anxiety. According to a study conducted by the University of California, too much use of electronic devices is a leading cause of stress and higher heart rates. Taking some time off in your garden without any electronic devices can really help. There are more scientific reasons why being in nature can make you relaxed. You can read 11 more reasons here. We want to live longer lives. Not only that, we also want to age slowly – right? To achieve this, we need to exercise at least a few times a week. Believe us, it is better and more effective than expensive anti-aging creams. Exercise is key to a healthy life, but why exercise indoors if you have a better option? Make your garden your go-to place for exercise. If you don’t know any complex workouts, there is no need to worry. Just buy good footwear and spend a few minutes running, walking, or playing with a ball in your garden a few days per week. Exercise is not always about complex activities. You can add simple habits and hobbies to your lifestyle to complement difficult workouts and gardening is one of them. Gardening is often a perfect antidote to the modern materialistic lifestyle. It is a good way to return to our primal state. It is also not an easy task as it involves a lot of physical movement, providing your body with an opportunity to exercise. So don’t just spend time in your garden, but start gardening as well. Gardening with your kids and other family members can also help create a stronger bond. And guess what? You can also grow some fresh, nutritious organic food in your garden. Homegrown foods like vegetables and fruits are the healthiest that we can have. According to a recent study of an after-school gardening program, kids who garden with their parents are more likely to eat healthier food. Try it and you will thank us. Homegrown foods also taste much better. Being busy in your garden often unleashes your inner artist. As you can find hundreds of ways to decorate your garden and choose from thousands of plants to grow, you can turn your garden into something very unique. Add a wow factor and surprise your visitors by incorporating your own style and other features to your garden. If you are spending time in your garden exercising, running, growing your own food, and decorating, you will stay healthy and nimble for a very long time. This is the same reason why gardening is commonly used in the rehabilitation of patients. So get a good pair of running shoes, take a break from your busy schedule, and start spending some time in your garden beginning today. You will feel younger, more relaxed, and healthier in no time. 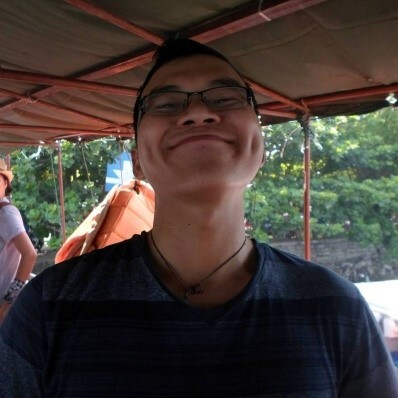 Being obsessed with running, Chau Nguyen decided to build his own blog Running Addicted a place where people just like him can come to get the best information, tips, and gear available.